Israeli police questioned Prime Minister Benjamin Netanyahu on Friday in a case involving the country's largest telecoms firm, one of three corruption probes in which he has been named as a suspect. Israeli police questioned Prime Minister Benjamin Netanyahu on Friday over what local media said was a case involving the country's largest telecoms firm, one of three corruption probes in which he has been named as a suspect. Netanyahu, a conservative premier now in his fourth term, has denied any wrongdoing in all the cases. He has been questioned over so-called "Case 4000" before and police have yet to make a recommendation about any charges. As police investigators arrived at the prime minister's official residence in Jerusalem on Friday, their car was thronged by anti-Netanyahu demonstrators who had unfurled a huge banner reading: "Crime Minister". 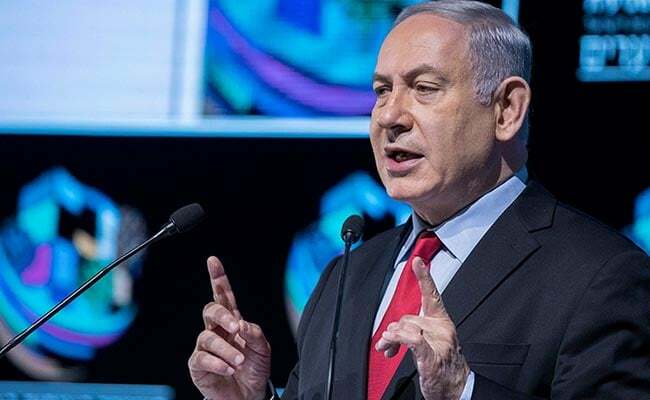 In a brief joint statement, the police and the Israel Securities Agency said only that Netanyahu had been questioned as part of "the effort against financial crime".